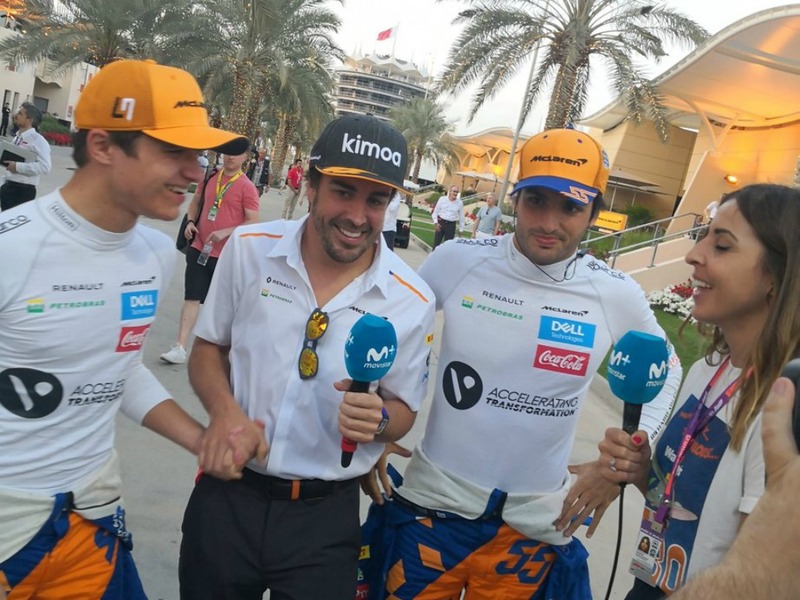 The build-up to the Bahrain Grand Prix weekend started on a sassy note with two former drivers feeling the need to bite back on social media. But Alonso’s tweet would be overshadowed by the unlikely figure of Marcus Ericsson. How about this for a comeback? That’s me overtaking 2 time world champion Fernando Alonso for 10th in Japan 2015. When did you ever overtake in F1? Strong content was also provided by those who still haven’t got messing around with the Formula 1 intro out of their system. Strictly Come Formula 1 anyone? Or how about a Friends mash-up? But the only one that absolutely should be making it onto TV is Sky’s intro with Fleetwood Mac’s ‘The Chain’ making a return. It’s ridiculous how well it goes together. It doesn’t quite go as well together as Pit Chat does with Kimi corner. Another weekend where the great man did not disappoint. And talk about like father, like son. The uninterested look has been passed down superbly. That’s Kimi who. As good as Leclerc is, it is certainly not coming at the expense of Kimi being rubbish. Raikkonen’s overall record in Formula 1 speaks for itself. While Leclerc does deserve most of the plaudits, some credit must go to Lewis Hamilton for the way he reacted to what was an incredibly fortunate win. That is absolutely reprehensible behaviour. Let’s lighten the mood again, shall we? It’s good to see there is still a sense of humour at Williams despite their current plight. But not all drivers are getting on, are they Daniil and Antonio? 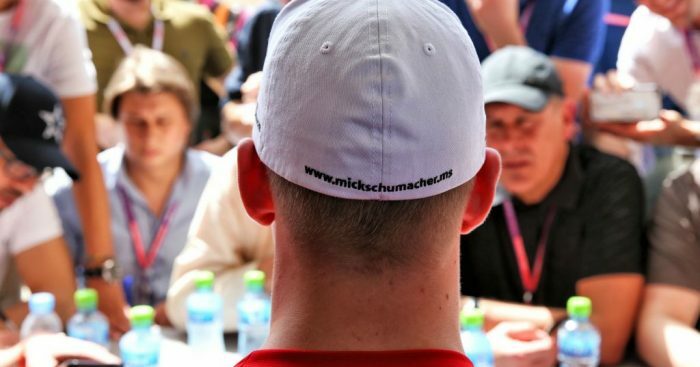 Cringe moment of the weekend came courtesy of Martin Brundle, who got Guy Ritchie mixed up with some guy who looks like Ritchie. And the Hulk also tells Netflix where to go when they get a little bit too close with the microphone. 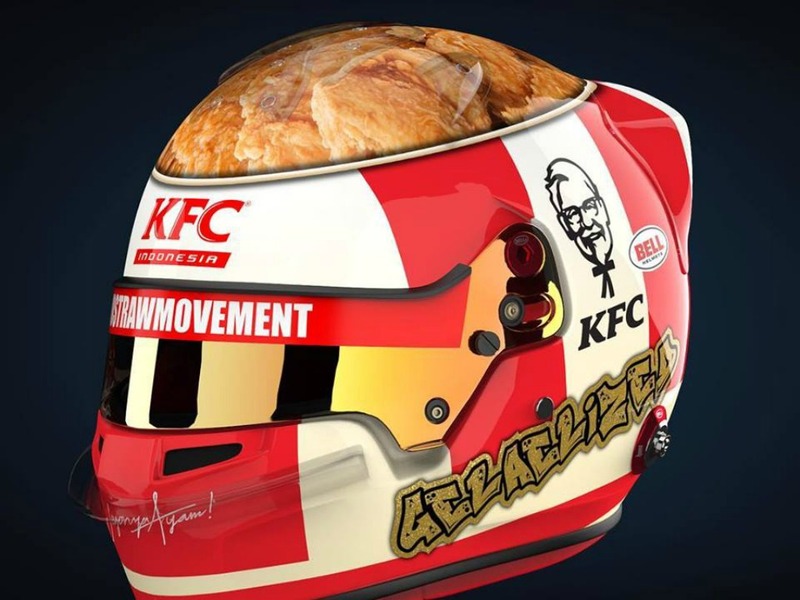 And finally, F2’s Sean Gelael has emerged as the driver with the best helmet. It’s not even up for debate. The perks of the job when your father is the sole franchise holder of KFC Indonesia…. More of a last look at Sebastian Vettel’s costly spin in Bahrain. We shouldn’t laugh…but come on!